The real Large Hadron Collider has been a bit of a disappointment to date, so an impatient Russian artist decided to make his own. Out of wood. 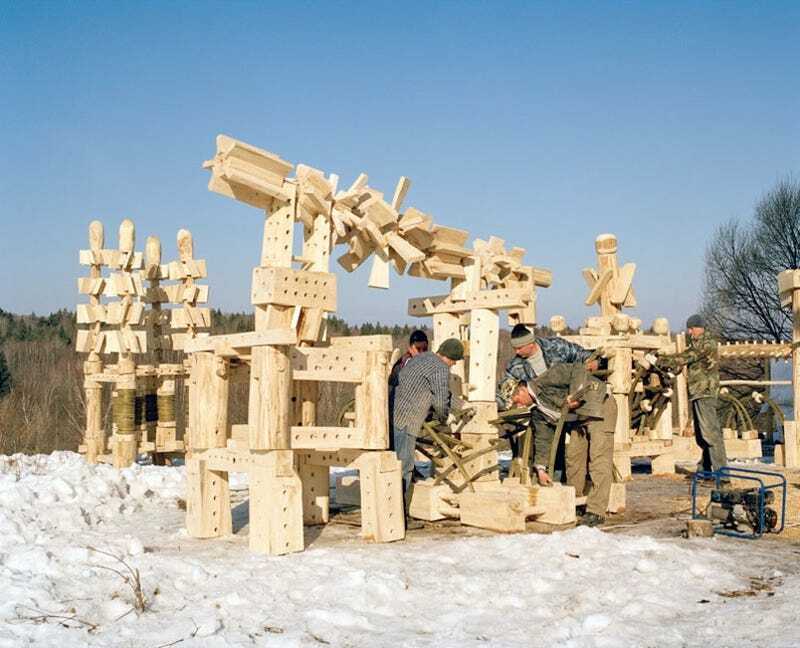 Nikolay Polissky is an artist who trades primarily in giant, incomprehensibly weird wooden sculptures. Apparently (as in, obviously) his intention in building this "Large Hadron Collider" wasn't to create something with much aesthetic similarity to the LHC, but something that captures its essence. One shared motif: Tubes!